← M.K. BHADRAKUMAR. Russia censures Iran, expects Israel to help restore ties with US. TONY WALKER. Australia needs to reset the relationship with China and stay cool. this article was published by The Conversation on the 4th of June 2018. 2 Responses to TONY WALKER. 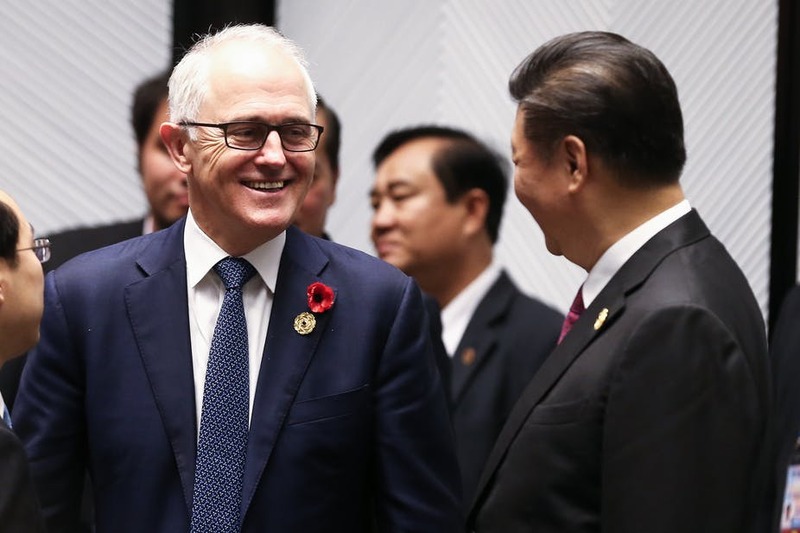 Australia needs to reset the relationship with China and stay cool. You write well and you explain the growing disparity and drift between China and Australia with great clarity. The salient point comes down to this. In any relationship you have to know your friend as you do your enemy. You shoot yourself on the foot when you treat an apparent friend as an enemy in the ‘public’ arena. How has this China-Australia drift come about? I can only suggest as a Chinese that when Australia speaks through its government (as distinct through any private Australian citizen in his or her personal capacity), it should be more effaceable, undemonstrative, restrained and diplomatic like at a formal social function. This inherent ‘dinky-di’ ‘gung-ho’ ocker ‘call a spade a bloody spade’ openly blunt and frank way of communication is just not on, when nations deal with other nations! Then we have apparently the other extreme on the Chinese side, when it comes to the ‘public’ arena. The Chinese always seem to appear inscrutable, always smiling, polite, deferential and insouciant, almost like, speaking metaphorically, they were wearing an Italian volto carnevale mask, or that they are like two-faced and not sincere. With two parties from two different worlds, from the East and the West, it seems that the twain, shall never meet! Australians cannot separate themselves into two ‘faces’ – a ‘public’ face and a ‘private’ face. And I do not mean this in a strictly physical spatial sense. As in being somebody at work and somebody else outside work – which is as far as most Australians can understand this concept of a ‘public’ separate from a ‘private’ face. As any Australian who has worked in Japan, China, Korea, in the Orient or even in the sub-continent, probably even as far as the Middle East or even Africa, it is something deeper and more profound in meaning and understanding – more like for ‘spiritual’ comity, that you ‘give face’ or ‘save face’. Westerners try to interpret this concept of ‘face’ as involving or relating to ‘shame’ or ‘honour’, (as if we have knights and damsels in distress in the non-Western world), but it has nothing to do with these, other than in an oblique sense. It has more to do with maintaining harmony with the other in any relationship, to avoid stepping on toes, to avoid ruffling feathers, to not stir up quiet waters. Thus this Chinese concept of having a separate ‘public’ face from the ‘private’ space has more to do ‘outer self’ and ‘inner self’. It is derived from the Taoist concept of wei/wu-wei (‘action in inaction’ – like water eroding a mountain). So even within the household, family or between husband and wife, there has to be an ‘outer self’ and ‘inner self’ – certain things are best said and certain conduct are best done quietly or perhaps not at all and when the situation and timing are conducive and also the ‘interface’ is away from the prying view and hearing distance from others. It is like ‘not hanging your dirty linen in public’, in this case do not have a tiff in public. There is another Chinese mindset that is incongruent with Australia’s. The Chinese believe in harmony in equal co-existence of different races, cultures, religions and traditions, rather than harmony in integration, standardisation or uniformity. In short, to each his own, within his home. At the geopolitical level, a nation has to choose an ideology that it has a natural affinity for. Can you imagine the Arabs to be other than Arabs or the Jews to be other than Jews. Then why do you expect the Chinese to be other than being Chinese. You just do not play ‘headmistress’ or ‘World Sheriff’ with China or the Chinese. They Chinese just want to be themselves and have what is theirs since antiquity. The Chinese do not want to be like others or want others to be like them. There is a Chinese saying that if you are born to be a dog, you are a dog, when you are born to be a cat, you are a cat. A dog can never be a cat! And so, obviously the Chinese geopolitical point of view is going to be antithetical to the Western geopolitical point of view – of a Western rule based order and Western hegemony, superiority and supremacy. Something has to give. But it will not be the 5000+ year old dinosaur that is China. And note that the Chinese do not believe nor have trust in any God. They are not God-fearing! They worship only their ancestral spirits, and so you are dealing with people who cherish their dead and spirits! Tony Walker makes a particularly good point about Australia’s Asian neighbours. Policy advisors should be looking more closely at how they are reading China’s rise and adjusting. Listening to them right now could assist Australian governments to make better decisions about our own foreign policy.